Get ready to enter the depths of the dragon’s layer and immerse yourself in the fiery new online slot game where you can win up to 10,000x your stake on one single spin. Although the fire-breathing beast sleeps during the base game, you’ll need to wake him up to reap the rewards of this fantastic slot. Dragon’s Fire is a 5-reel slot with 40 pay lines on offer. This Red Tiger Gaming creation has become of their most successful slots due to the plethora of in-game bonuses including Dragon’s Egg Multiplier, Eye Boost, Fire Blast Wild Reels and a Free Spins Feature. Deposit today and befriend the dragon on the way to glory. Upon opening the Dragon’s Fire slot, you’ll be presented with thrilling animations displaying the 10,000x max win on the base game. As you enter the gameboard, you’ll be able to hear the sleeping dragon take deep breaths before he awakens to cause chaos on the reels. 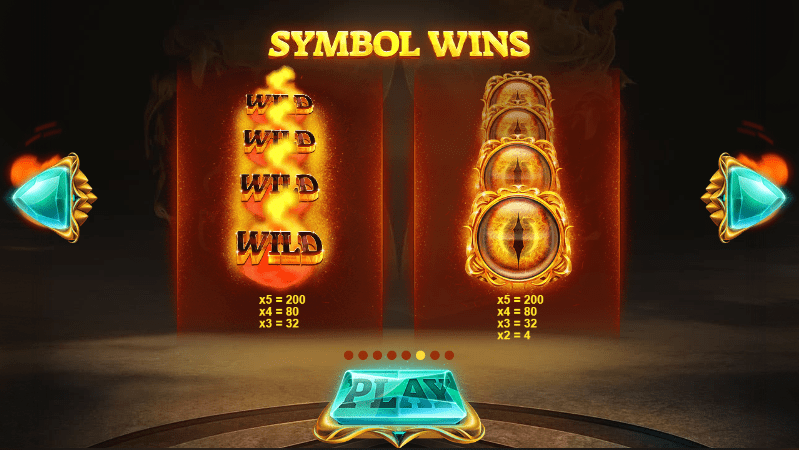 During base gameplay, you’ll hit various winning combinations that consist of different symbols in value. Your lowest wins will contain the purple, green, red and orange dragon eggs. As for your medium value wins, you’ll need to discover the baby dragons in relation to the same colours as the four eggs. The highest paying symbols of them all are the dragon eyes and flaming WILDS. DRAGON’S EGG MULTIPLIER – With each consecutive win, the Dragon’s Egg Multiplier will increase up to a staggering 50x. DRAGON’S EYE BOOST – The Dragon’s Eye Boost works in cohesion with the Dragon’s Egg Multiplier. It can boost the multiplier up to 10x in a single round. FIRE BLAST – Occurring randomly, the dragon breathes fire onto the reels leaving WILD Reels or Free Spins. FREE SPINS FEATURE – Hit 3 or more Free Spins SCATTERS anywhere on the reels to trigger the Free Spins Feature. Upon doing so, you’ll be presented with three dragons and you must choose one to reveal the number of free spins you’ll receive. You can receive up to 20 free spins. For every winning spin, the multiplier will increase by 1x. In addition, if a multiplier was attached to the triggering spin, it will be transferred from the base game to the Free Spins Feature. Discover more slots bonus features and promos on SBaby today! Red Tiger Gaming can’t do much wrong at the moment and Dragon’s Fire is another example of why they’re becoming an industry leading developer. This slot is not only a work of art, but the gameplay is engaging and offers some great bonus features. In addition, the base game can potentially provide you with a 10,000x win on your stake. 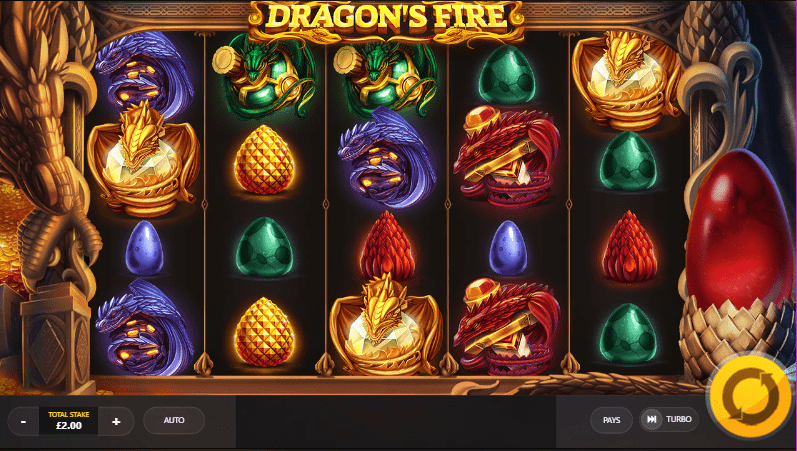 Make Dragon’s Fire the next online slot on your playing list. Learn more games like Dragon's Fire and play them now!